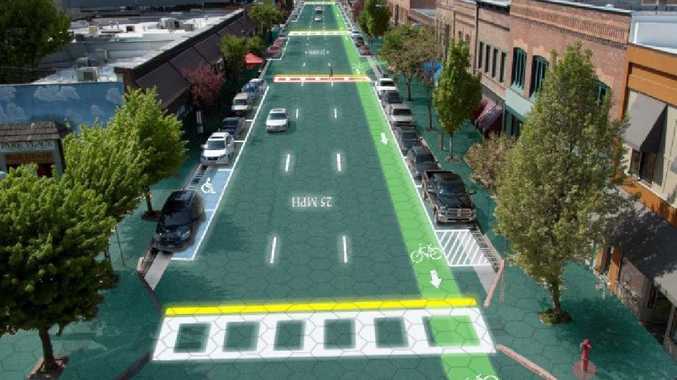 Solar roads on city streets are just not a great idea. 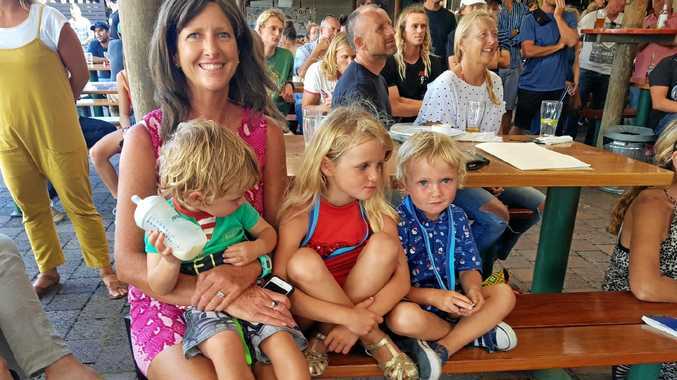 FOUR years ago a viral campaign wooed the world with a promise of fighting climate change and jump-starting the economy by replacing tarmac on the world's roads with solar panels. The bold idea has undergone some road testing since then. The first results from preliminary studies have recently come out, and they're a bit underwhelming. A solar panel lying under a road is at a number of disadvantages. As it's not at the optimum tilt angle, it's going to produce less power and it's going to be more prone to shading, which is a problem as shade over just 5 per cent of the surface of a panel can reduce power generation by 50 per cent. 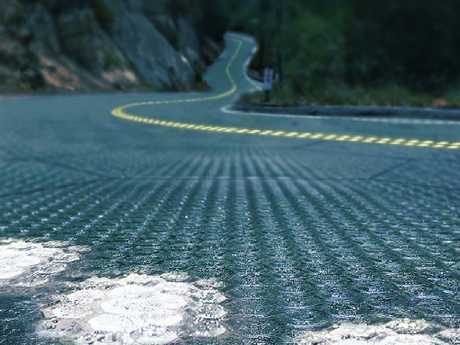 MORE: Could solar roads work in Australia? 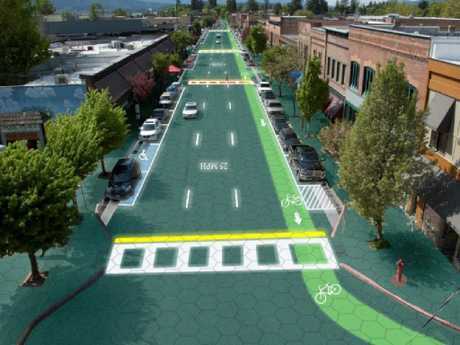 Solar Roadways is a modular system of specially engineered solar panels that can be walked and driven on. Unable to benefit from air circulation, it's inevitable these panels will heat up more than a rooftop solar panel too. For every degree over optimum temperature, you lose 0.5 per cent of energy efficiency. As a result, a significant drop in performance for a solar road, compared to rooftop solar panels, has to be expected. The question is by how much and what is the economic cost? One of the first solar roads to be installed is in Tourouvre-au-Perche, northwest France. This has a maximum power output of 420kW, covers 2800sq m and cost €5 million ($8 million) to install. This implies a cost of €11,905 ($A19,230) per installed kW. While the road is supposed to generate 800kWh/day (kilowatt hours per day), some recently released data indicates a yield closer to 409kWh/day, or 150,000kWh/yr. For an idea of how much this is, the average home uses around 10kWh/day. The road's capacity factor - which measures the efficiency of the technology by dividing its average power output by its potential maximum power output - is just 4 per cent. In contrast, the Cestas solar plant near Bordeaux, which features rows of solar panels carefully angled towards the sun, has a maximum power output of 300,000kW and a capacity factor of 14 per cent. And at a cost of €360 million ($A581 million), or €1200 ($A1938) per installed kilowatt, one-tenth the cost of the solar roadway, it generates three times more power. Several of their SR3 panels have been installed in a small section of pavement in Sandpoint, Idaho. This is 13.9sq m in area, with an installed capacity of 1.529kW. The installation cost is given as $US48,734 (about $A67,000), which implies a cost per installed kilowatt of $A44,420 more than 20 times higher than the Cestas power plant. The panels contain LED lights to create lines and signage without paint. They contain heating elements to prevent snow and ice accumulation. The panels also have microprocessors, which makes them intelligent. Solar Roadway's own estimates are that the LED lights would consume 106MWh per lane mile, with the panels generating 415MWh - so more than 25 per cent of the useful power is consumed by the LEDs. This would reduce performance even further. The heating plates are also quoted as drawing 2.28MW per lane mile, so running them for just six days would cancel out any net gain from the solar panels. And this is before we look at the actual data from the Sandpoint installation, which generated 52.397kWh in six months, or 104.8kWh over a year. From this we can estimate a capacity factor of just 0.782 per cent, which is 20 times less efficient than the Cestas power plant. However, perhaps there's a bigger point - solar roads on city streets are just not a great idea. Dylan Ryan is a lecturer in Mechanical & Energy Engineering at Edinburgh Napier University.